Anne Bouleanu is a freelance journalist from Chicago. She has worked in digital media and television covering a range of topics including U.S. politics, women’s rights, conflicts in the Middle East and North Africa, political tensions in South America, and police brutality and race relations in the United States. She covered the primaries during the 2016 U.S. presidential race, focusing on policy issues and increasing divisions among the American electorate. During her time at Al Jazeera America, Anne produced breaking news segments as well as packages on underreported global issues. Prior to this, Anne worked at Bloomberg TV focusing on global and domestic financial news. Bart Campolo is the Humanist Chaplain at the Univ. of Southern California, the host of a fantastic podcast called “Humanize Me,” and the author of a new book written with his evangelical father Tony Campolo called Why I Left, Why I Stayed. Bart, if you haven’t figured it out already, is the one who left Christianity. The book is all about that conflict, and their love for each other, and how they can both advocate for beliefs that are in direct competition with each other without losing their own bond. I spoke with him about how his parents were devastated by his apparent apostasy, what atheists don’t get about Christians, and why hot dogs aren’t the key to a happier life. In Louis Theroux‘s new film, My Scientology Movie, the Church of Scientology doesn’t give him access to the key leaders or buildings themselves… That sounds like quite the obstacle for a documentarian, so Theroux does the next best thing: He hires actors to recreate well-documented scenes in Scientology’s history. All the while, the actual Church seems to be keeping tabs on him. Theroux has worked with Michael Moore, and his projects have often focused on interesting subcultures — everything from the KKK to Westboro Baptist Church. I spoke with him about Scientology’s version of “turn the other cheek,” the harassment that one key defector of the Church still has to put up with, and what one thing could hurt the Church the most. Richard Hatch is the winner of the first season of Survivor, where he basically created the whole concept of an alliance. He also competed on the 8th season of the show (Survivor: All-Stars) in 2004. In 2011, he was on Celebrity Apprentice, and last year, he appeared on The Biggest Loser: Temptation Nation. Along the way, he spent time in jail over unpaid taxes, though he maintains his innocence in the matter. With the new season of Survivor set to premiere this week, we spoke about whether he’ll be returning to the show he helped popularize, his journey out of religion, and whether there’s anything redeeming about Donald Trump. Hemant Mehta is the editor of Friendly Atheist, appears on the Atheist Voice channel on YouTube, and co-hosts the uniquely-named Friendly Atheist Podcast. He is a former National Board Certified high school math teacher in the suburbs of Chicago, where he taught for seven years. Jessica Bluemke is a contributor to Friendly Atheist and a graduate of Ball State University. She lives on the north side of Chicago and performs stand-up comedy in her free time. Katherine Robinson on Congratulations, Senator Not Roy Moore! 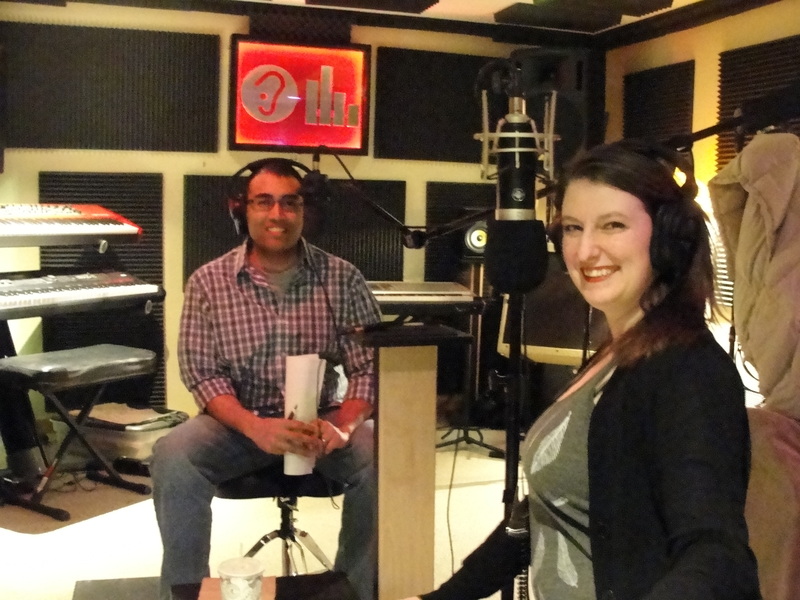 Nathan Paxton on Hemant and Jessica, Your Co-Hosts!